Harper is an aspiring poet, and life is giving her a lot to write about just now. Daddy up and walked out, leaving them with too many bills, too little money, and an eviction notice. Now Mama is scrambling to make ends meet, leaving Harper to stay home and take care of her brother. Their whole world has been turned upside down, which Harper could just about handle—if it wasn't for the poetry contest at school. More than anything, she wants to get up on that stage and read her poems out loud. But how can she worry about getting back to school when she doesn't even know where she's going to sleep tonight? 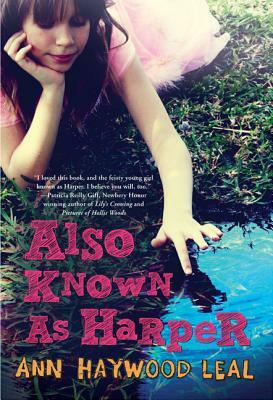 Ann Haywood Leal is an elementary school teacher and the author of Also Known As Harper and A Finders-Keepers Place. She has a black belt in Tae Kwon Do and enjoys spending time with her husband, Andy, and daughters, Jessica and Holly. She lives and writes in Waterford, Connecticut.